Last update: July 22, 2013. 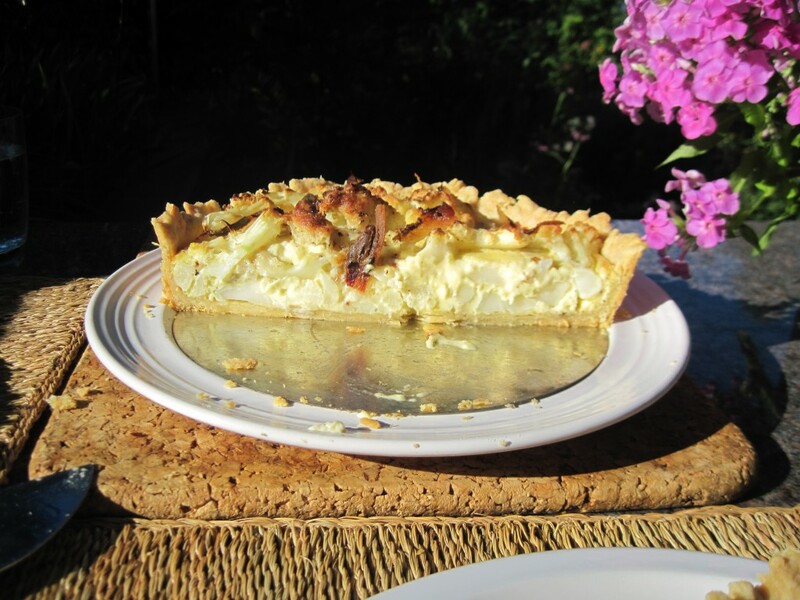 This is a neat and simple tart. Very delicate. For this particular demonstration I topped it with a few slices of home-made pancetta, only because we have lots of it, it needs to disappear, and, we like it a lot. Generic proposition does not include any meat inserts at all. 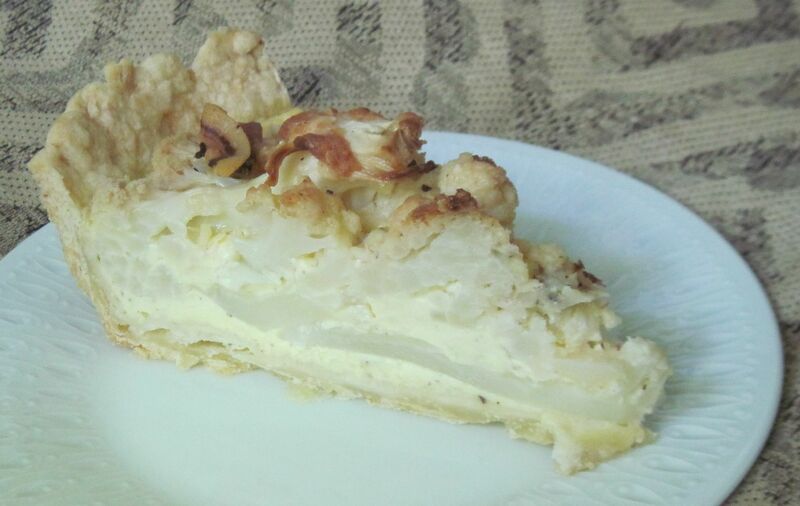 an appropriate tart shell – it maybe butter based, or cottage cheese based, whatever your preference. 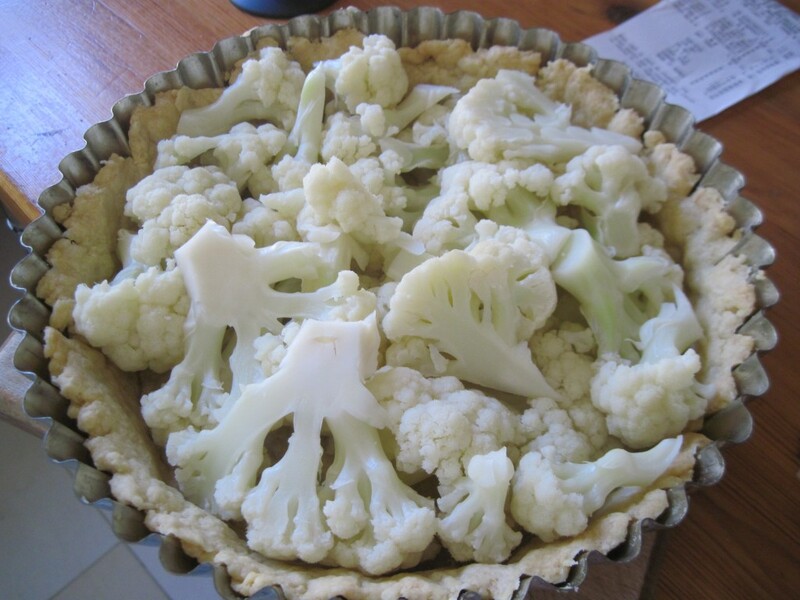 The important part is to make it fit the tart form you are planing for. My favourite one tall sided and 25cm dia in the bottom. I make the butter based shell using some 100g of butter and 190g of flour..You will need it ready-to-load i.e. pre-baked and cooled down. Drop the cauliflower into salted boiling water. Bring to boil, let it boil for some 4 minutes. Drain, leave to cool down. Set the oven to 350F/175 C.
Slice the cauliflower into thick flattish pieces and fill the shell with them as tightly as you can. 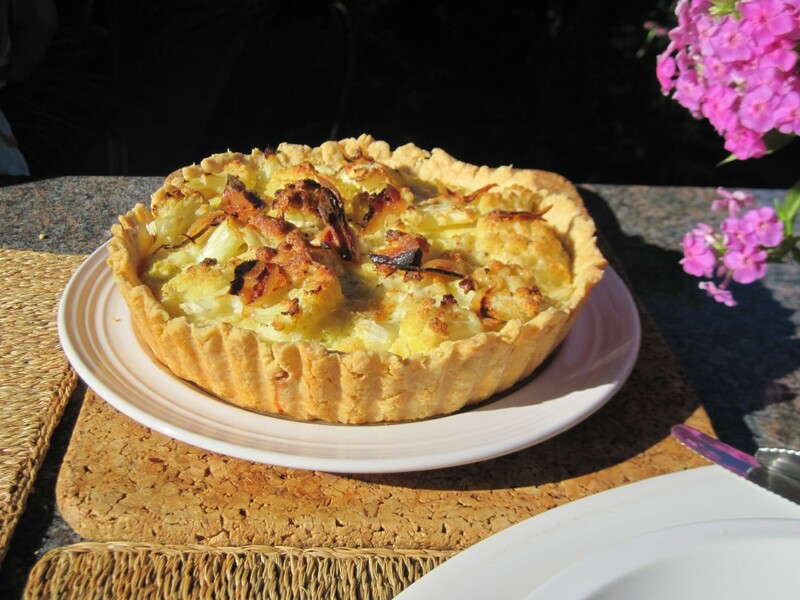 Mix eggs, cream, cheese, ground nutmeg , salt and pepper – beat some air into it if you have enough patience – and pour it all into the tart shell. Into the hot oven for at least 50-60 minutes – in my case it took almost 90 minutes, cause the tart is fairly deep – you want it really baked, no raw eggy nor milky stuff in the middle. This entry was posted in Not sweet but savoury / Tarty nie całkiem deserowe and tagged cold buffet, lunch, vegetarian. Bookmark the permalink.